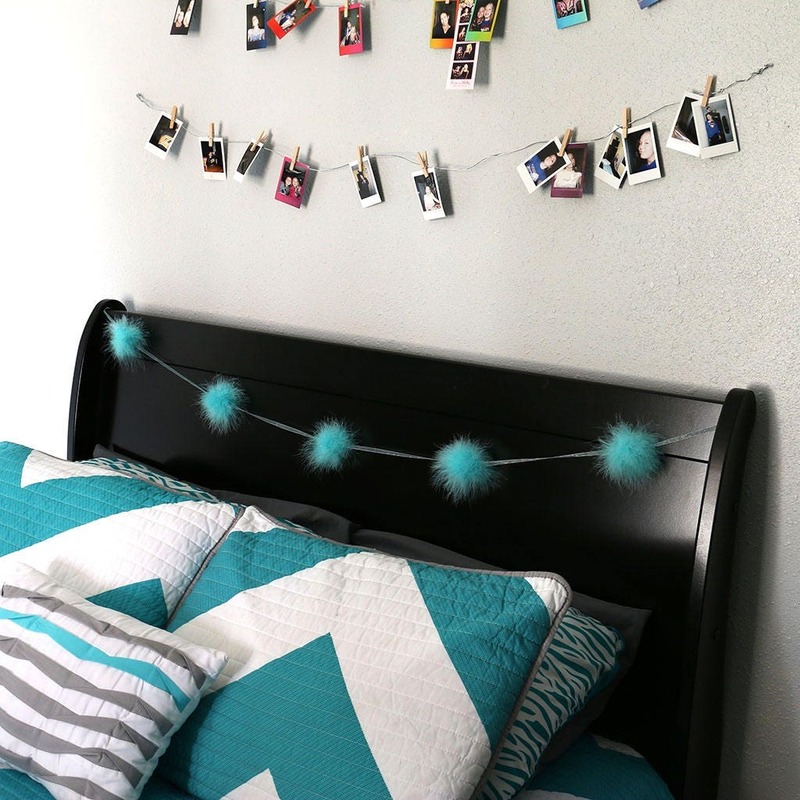 Great for Dorm and Bedroom Decor! 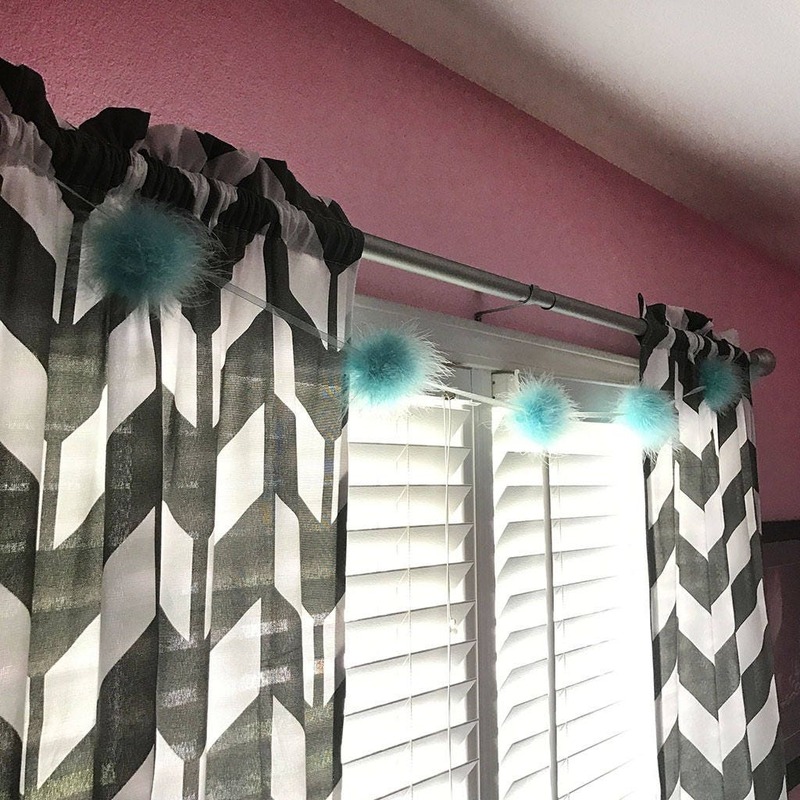 Feather Garland w/Turkey Marabou Poofs on a ribbon is 2 yds long. 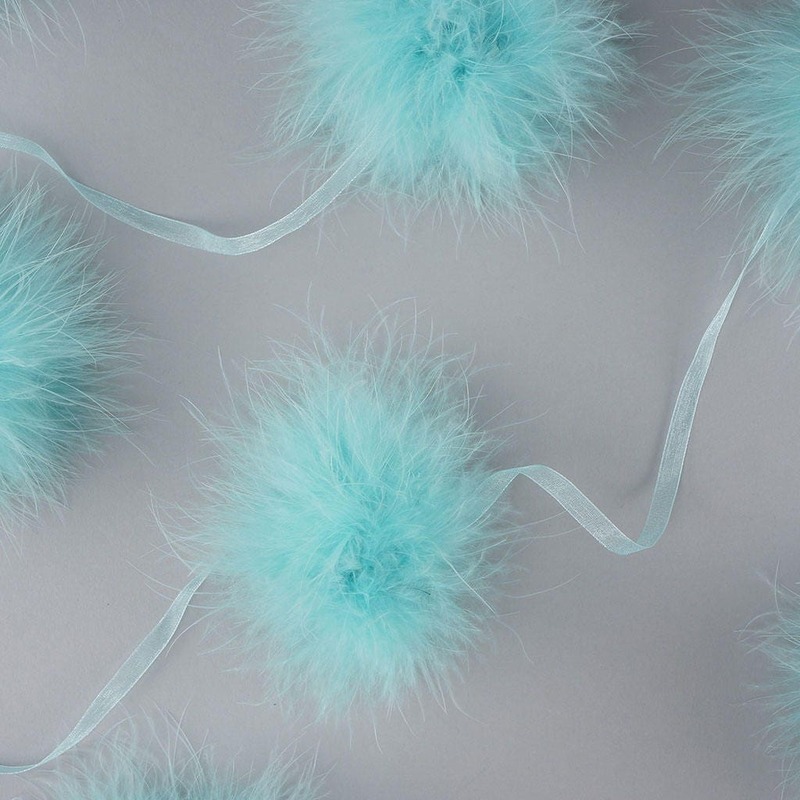 There are 7 Marabou Poofs approximately 10 inches apart on the ribbon. Our products are made with natural materials; therefore each item will have unique differences and variances.